Kinetic Massage courses are about getting your clients to move the way their bodies were intended to, all while preserving your own body mechanics. By understanding anatomy and correct positioning, your clients will return with the confidence that they are secure and achieving results. 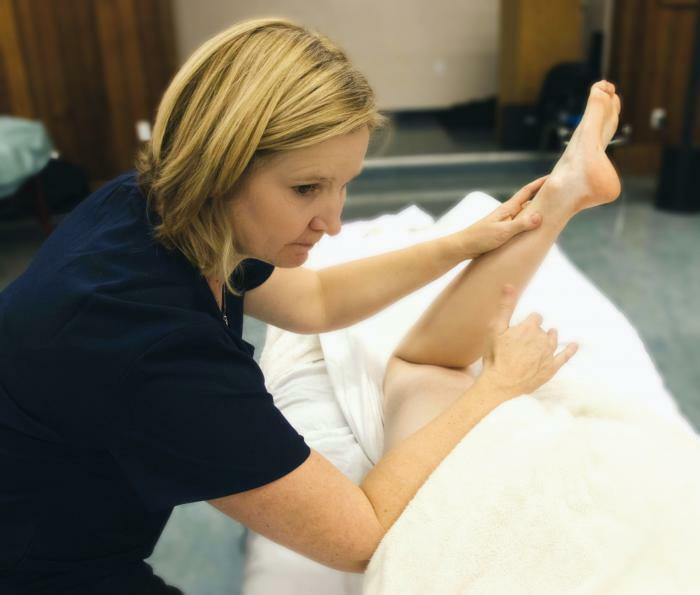 To enhance your clients’ therapeutic experience, Kinetic Massage provides you with an active technique using both joint movements and massage strokes. Kinetic Massage of the Shoulder course consists of massaging with very precise movements to target not only the muscles but also the joints. It incorporates specific massage strokes with dynamic joint movement. This is an excellent advanced approach with proven results that your clients will strongly benefit from. There will be a review of the anatomy of the shoulder region followed by a demonstration in prone, supine and side-lying positions. Specific muscles will be targeted for very precise therapy. These techniques are optimal for treating stubborn pathologies such as rotator cuff injuries and thoracic outlet syndrome. You will never look at or treat the shoulder the same way again. Your clients will be pleased with the results. Join us, your clients WILL feel the difference. Learn the kinetic massage principles of massaging with respect to mobility restoration and soft tissue healing.